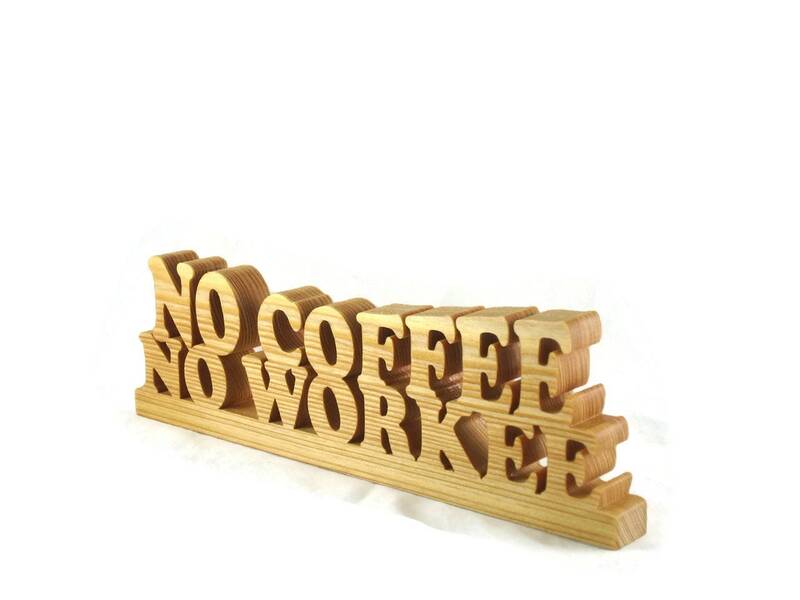 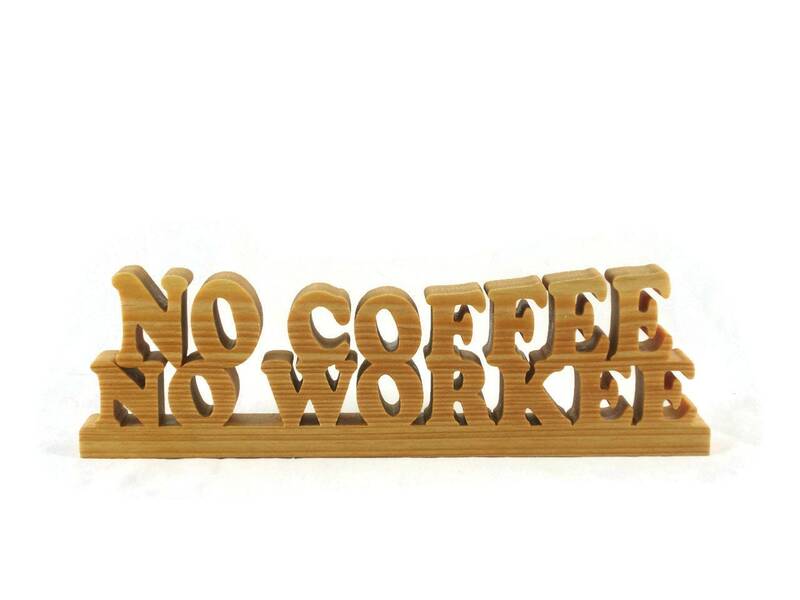 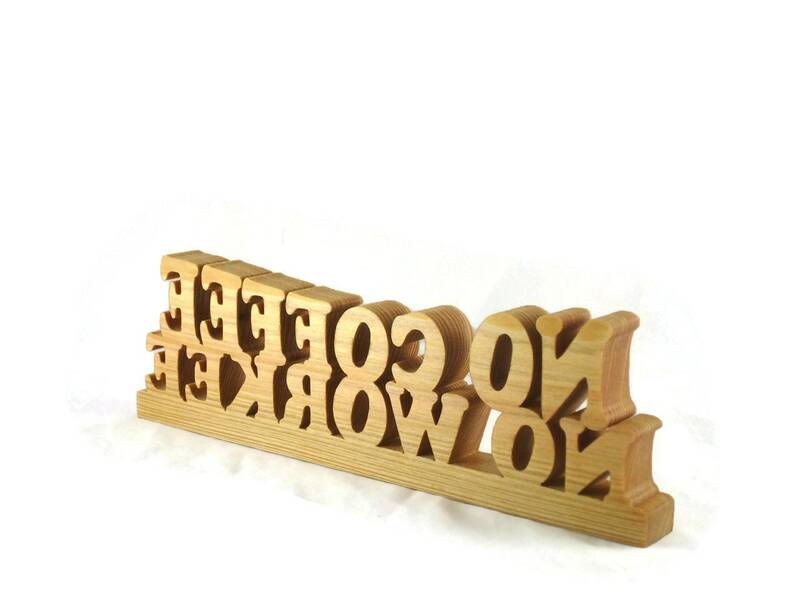 Be the talk at the office with this comical wood word art desk plaque featuring the words " No Coffee No Workee"
This was cut by hand (Handmade) from 3/4 inch thick wood. 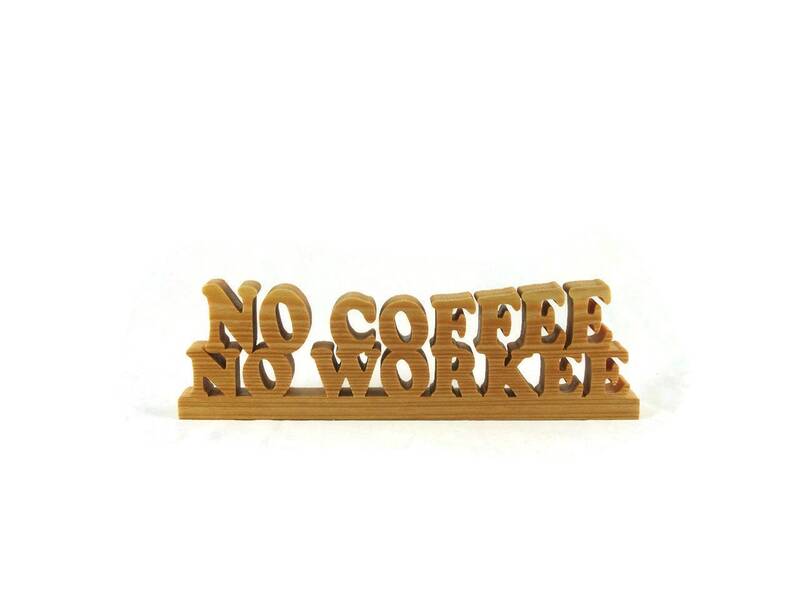 Measures approximately 9-1/2 wide and 3 inch tall. 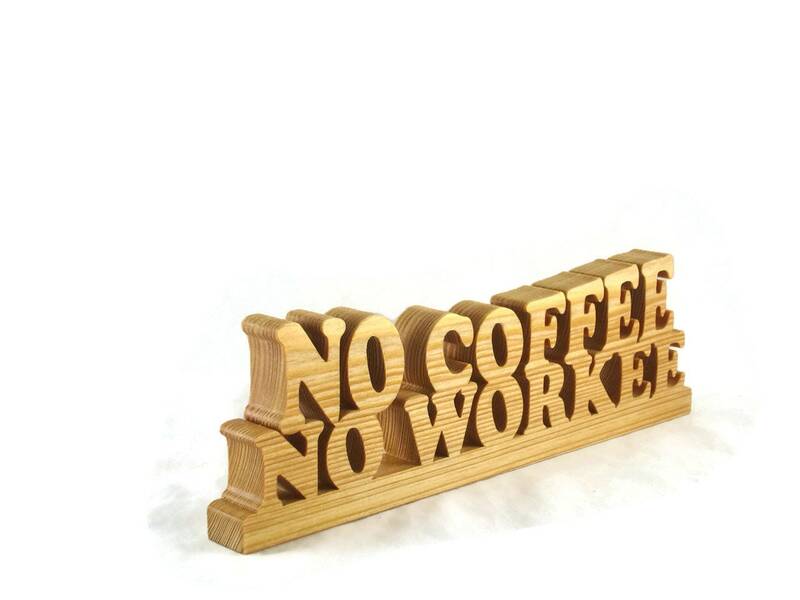 A natural non-toxic beeswax and mineral oil finish was applied.